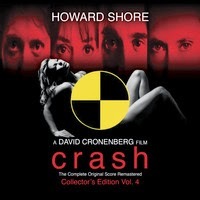 (September 12, 2014—New York, NY) Howe Records is pleased to announce the release of three expanded collector’s edition soundtracks celebrating the 35th anniversary of the collaboration between celebrated filmmaker David Cronenberg and Academy Award®-winning composer Howard Shore with the release of collector’s edition soundtracks for DEAD RINGERS, NAKED LUNCH, and CRASH. The three previously out-of-print albums will be released on CD and digitally October 14th. Each recording contains significant bonus material that has never before been released on CD. 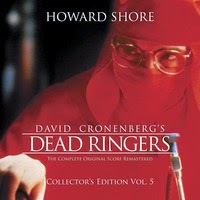 I remember watching 'Dead Ringers' in the 80s. It freaked me out. I still don't know what that movie is about. I remember that Jeremy Irons wore red scrubs.